Maynooth University’s Ronan Mullarney and Caolan Rafferty unfortunately didn’t make any big moves on the final day of the Patriot All-American Invitational at the Wigwam Resort in Litchfield Park, Arizona. 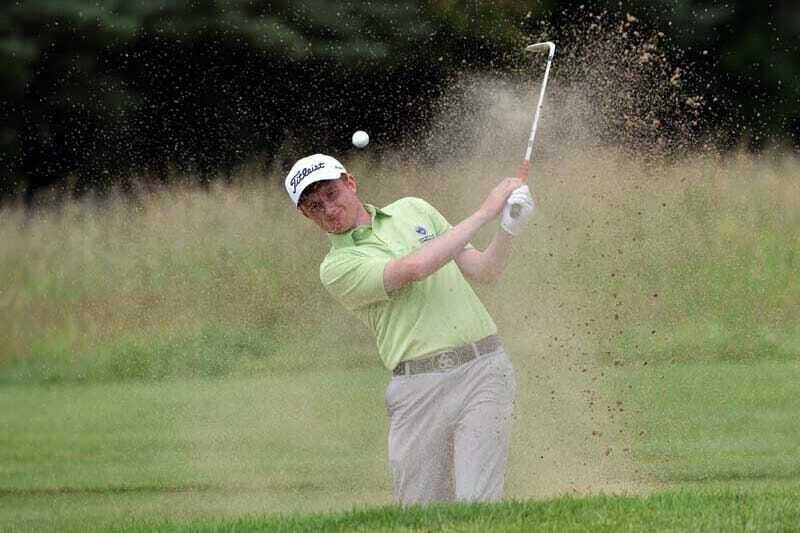 Having entered the day in T40 (Mullarney) and T46 (Rafferty) positions after the opening two rounds, Mullarney posted a second consecutive 73 for a 218 total and a T33 finish, while Rafferty endured a more difficult day with four bogeys and a double on his card of 76, which dropped him down to T52 on +12 overall. The joint leader heading to the final round Isaiah Jackson, a junior at the University of Memphis, shot a final round even-par 70 to win and his 5-under par 205 total (67-68-70) was three shots better than second place finishers Alex Scott from Grand Valley State University (68-67-73-208), who had been tied at the top at the start of the day and Quade Cummins from the University of Oklahoma (70-66-72-208). Jackson was the wire-to-wire leader of the tournament and a native of Golden, Mississippi, played in honour of his great grandfather U.S. Army Private First Class Willie B. McGill. Private First Class McGill was killed in combat action on December 4th, 1944. With his Patriot All-America victory, Jackson receives a sponsor exemption into the Web.com Tour’s Wichita Open played June 20 – 23 at Crestview Country Club in Wichita, Kansas.